There is no doubt that all of us get tired and exhausted after a long day at work. No matter what kind of job you do, you do get weary at the end of the day. How about getting a massage or a foot rub to help you relax? Sounds good, doesn’t it? After all, this can be one of the best activities to distress oneself. We often see people go for foot reflexology as it refreshes them and makes them energized as this is a very relaxing therapy for the feet. 2 What is Foot Reflexology? 3 What is the Purpose of Foot Reflexology? 4 What Problems can be Resolved by Foot Reflexology? 5 How is Foot Reflexology Different from Massage? 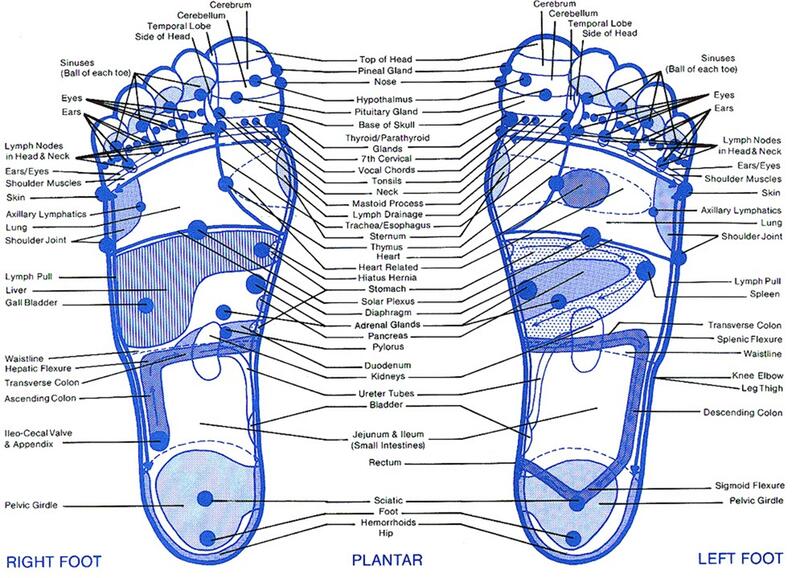 6 How Does Foot Reflexology Relate to Other Theories? 7 What is the Process of Foot Reflexology? 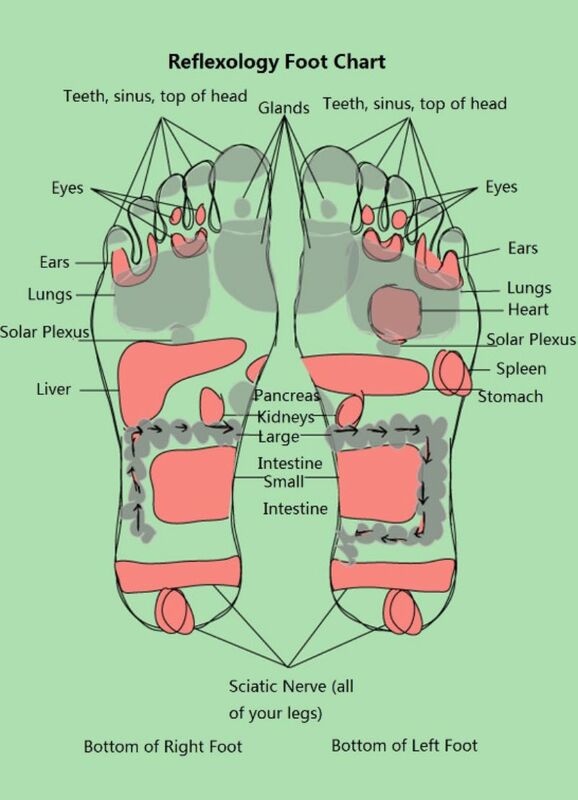 9 How Do you Feel During the Foot Reflexology? 9.2 What Happens After the Foot Reflexology? For about 3000 years, Chinese practitioners have used this reflexology technique to energize a tired person. It was used to improve the vitality and wellbeing in general and to this day, its purpose remains the same. 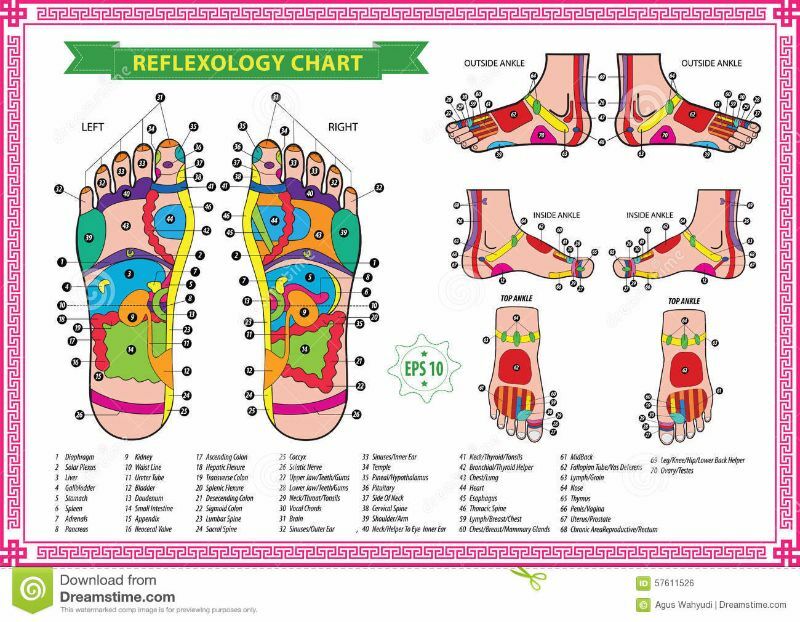 If you are really stressed out these days or want to release tension, then you must go for foot reflexology. In this article, you will get to know all about foot reflexology, from its basics to its complexities. 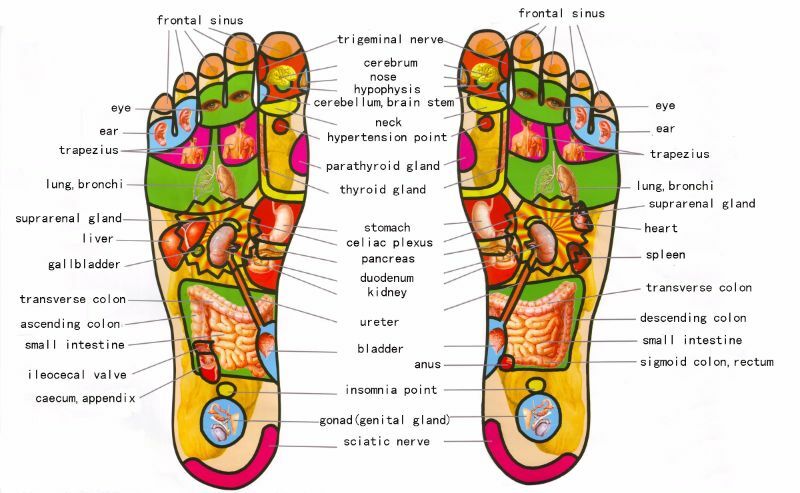 Foot reflexology is a method that works to keep the body in shape by healing the natural abilities of the body. The procedure helps in restoring the body back into a relaxed state. By alleviating the source of discomfort, this form of practice divides the reflex zones covering the entire body. In general, there are 5 zones on each side of the body, making up a total of 10 zones altogether. 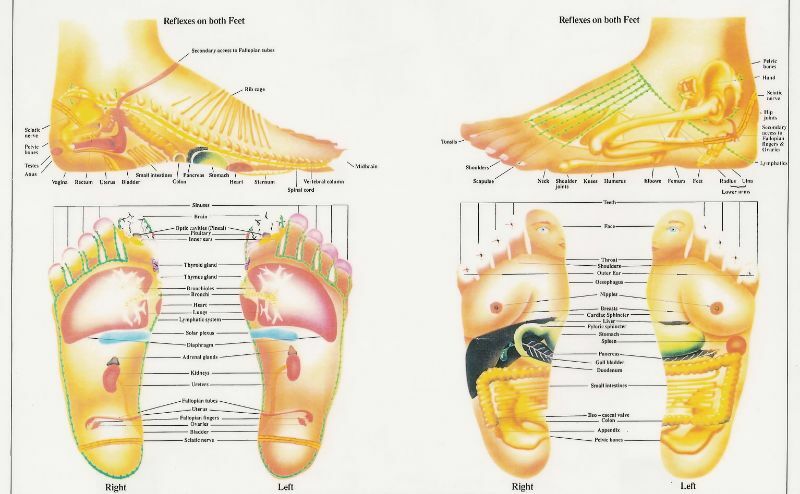 Every zone has points at the bottom of your feet that directly connects to different body parts. For example, the reflex points on your toes are linked to your brain. Consequently, when you get a toe massage, it relieves and refreshes your mind. 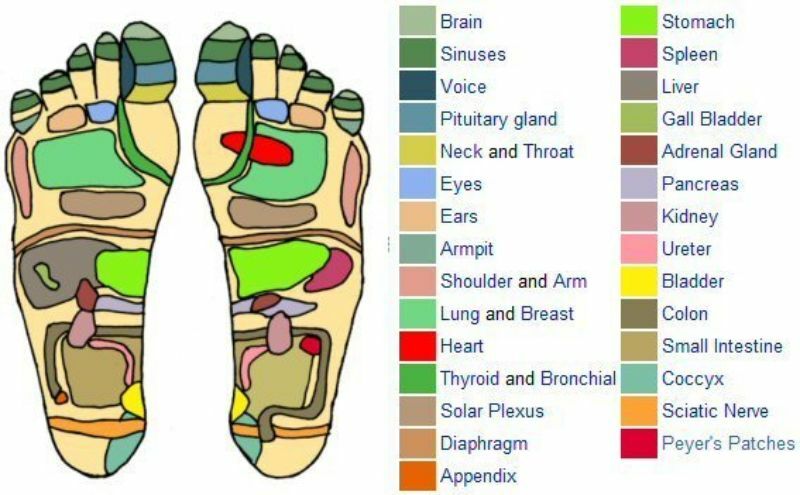 This is why reflexology can be a very effective technique for good health, preventing symptoms of stress and illnesses from surfacing. Moreover, reflexology is an entirely different practice than that of massage. 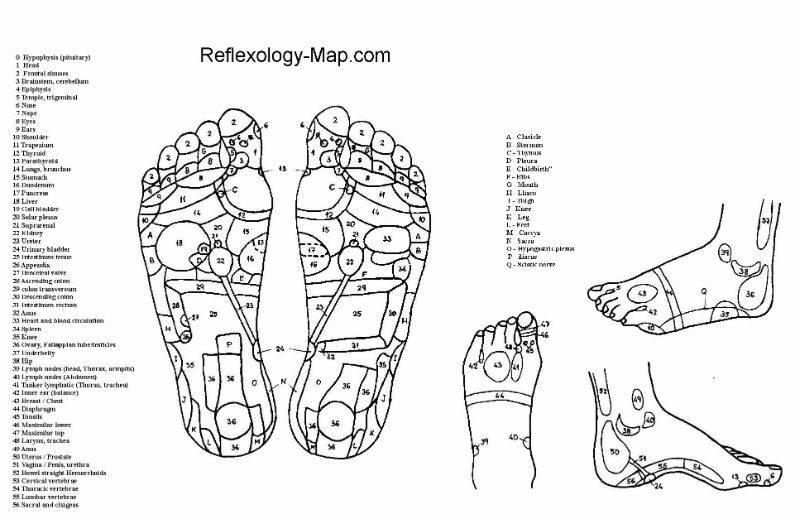 This form of practice is carried out using maps having predefined points located on your feet. As mentioned above, these points are directly linked to your nervous system, affecting the glands and other bodily organs. According to reflexology therapy, the reflexologist manipulates the pressure points so that any part of your body that is in pain or is weak can be strengthened with the pressure on these points. What is the Purpose of Foot Reflexology? According to research, stress and tension can be one of the huge sources of worsening your health by creating blocks in your body. Therefore, reflexology is one of the best practices that are mainly used to keep people away from worry, strain and tiredness among other things. Additionally, it also helps your body maintain a balance and make you more energetic to carry out your daily activities with more vigor and determination. In addition to that, you will be in an ideal state to tackle the most major or minor health issues at hand. Moreover, this practice strengthens the blood circulation, reduces pain, releases toxins and can put you in a state of relaxation. Once you are at the reflexology spa, you will surely get a good sleep to go with it. 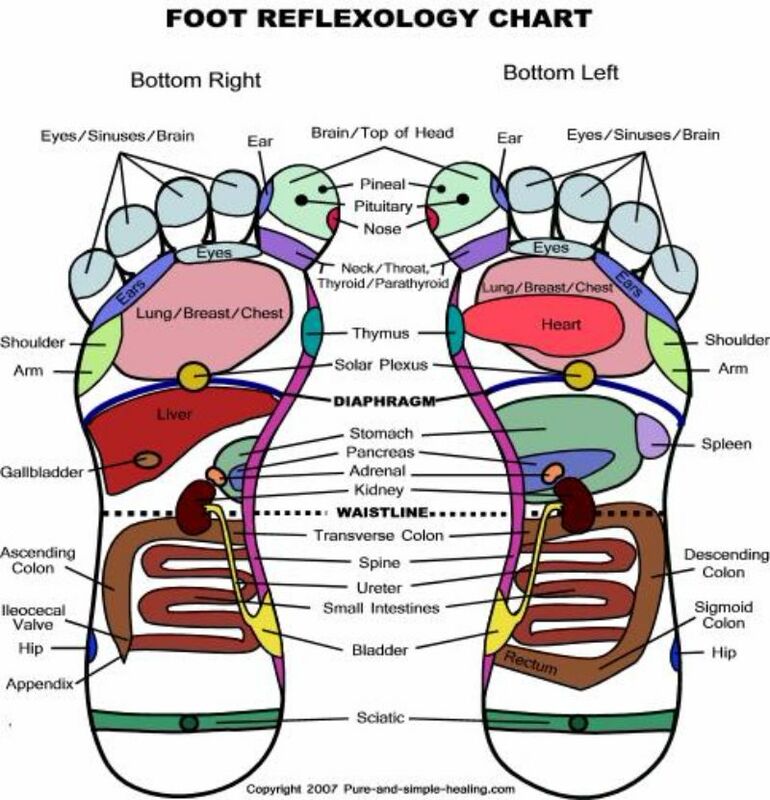 What Problems can be Resolved by Foot Reflexology? You can get relief from sport injuries. They can help you relive stress and tension. You will be able to cure all your digestive disorders. It can heal all your body aches, including headaches and tensions. Sources report that arthritis patients have gained relief from their muscle tension. It can cure your premenstrual syndrome. It can heal your hormonal imbalances. This treatment can also help you with digestive problems such as constipation. You can be cured from back aches. It can improve your blood circulation. It can soothe your tired feet. It can promote overall healing. It can relax all your body parts. 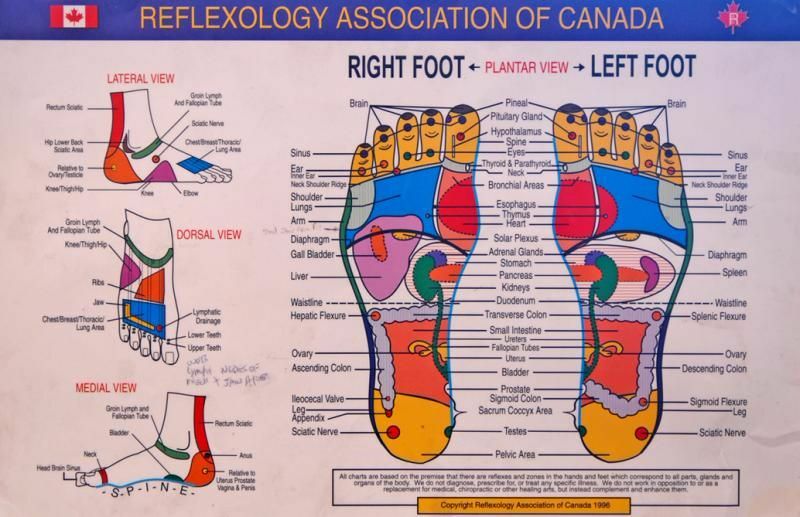 How is Foot Reflexology Different from Massage? Those who relate reflexology with massage are mistaken. Even though both of these things have the same technique, it’s in their approaches that they differ from one and another. We can understand this in a better way if we analyze both of them more closely. Massage is the treatment which is carried out by hand to manipulate the soft tissues of the body using techniques like stroking, tapping, kneading and friction, which are done to relax the body muscles. On the contrary, foot reflexology is a practice that primarily focuses on reflex maps highlighting the body parts in the feet. This practice is also done using hands with micro movement techniques. The common technique in this kind of treatment includes finger or thumb walking. This treatment can be very relaxing for the entire body and is termed as a better version of a massage. Now that you know the difference between the two techniques, you may have an idea that massage is done from the outside-in, keeping in view the muscles to release the tension, while foot reflexology is done from the inside-out, keeping in view the nervous system to strengthen energy. Given that there is an obvious difference between both the approaches, there is another difference in terms of the dressing of the one taking part in the treatment. Generally, a client is fully dressed in a reflexology treatment and they only have to remove their shoes at most. On the contrary, clients have to be entirely undressed for the massage session. How Does Foot Reflexology Relate to Other Theories? 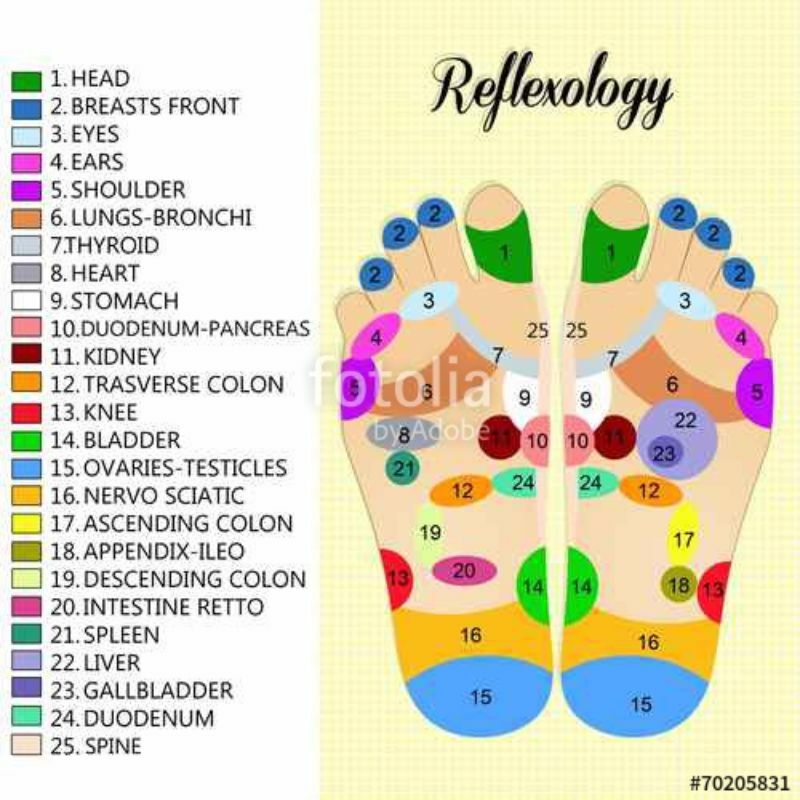 Even though reflexology does not relate to massage in any way, there are some other therapies with which it does relate to; namely, acupressure and acupuncture. These therapies also focus on the same idea of stimulating the body energy by focusing on the reflex points of the body. These therapies are reflex therapies. 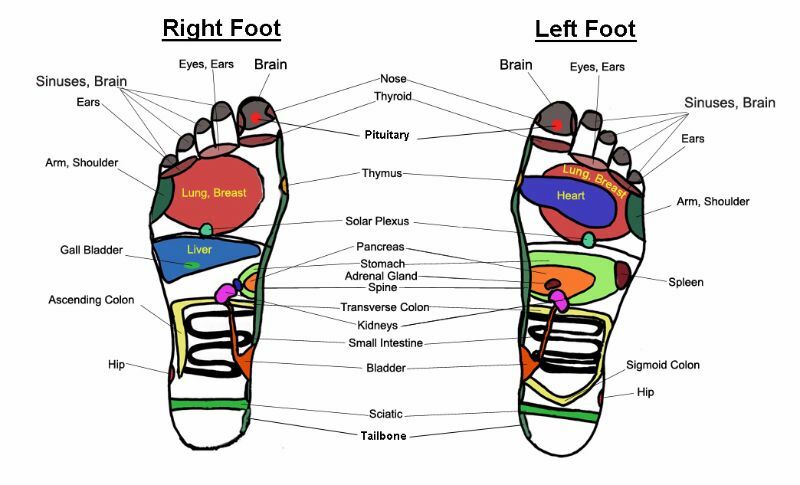 The approaches are the same; reflexology uses an orderly arrangement focusing on the reflex points and acupressure and acupuncture uses reflex points that are found in energy lines within the body. 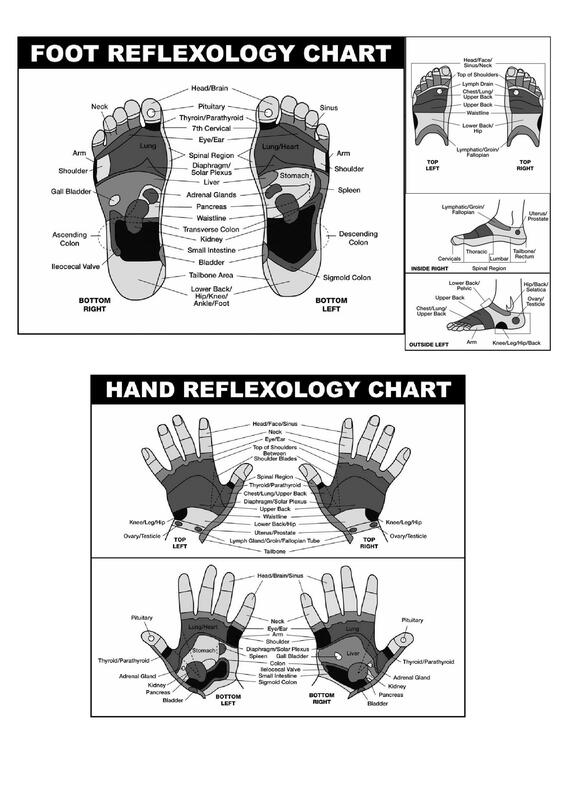 What is the Process of Foot Reflexology? The process of foot reflexology is not like other treatments. It is really very relaxing and soothing; in fact, you will get a really good sleep after having the treatment. In a typical treatment, the patient and therapist discuss about the therapy as to how they will go about it, what kind of stress does the patient have and where do they normally feel pain. Depending upon that, the therapist determines where to apply the pressure. Before and during the treatment, you do not need to do anything; you just have to relax on the sofa. 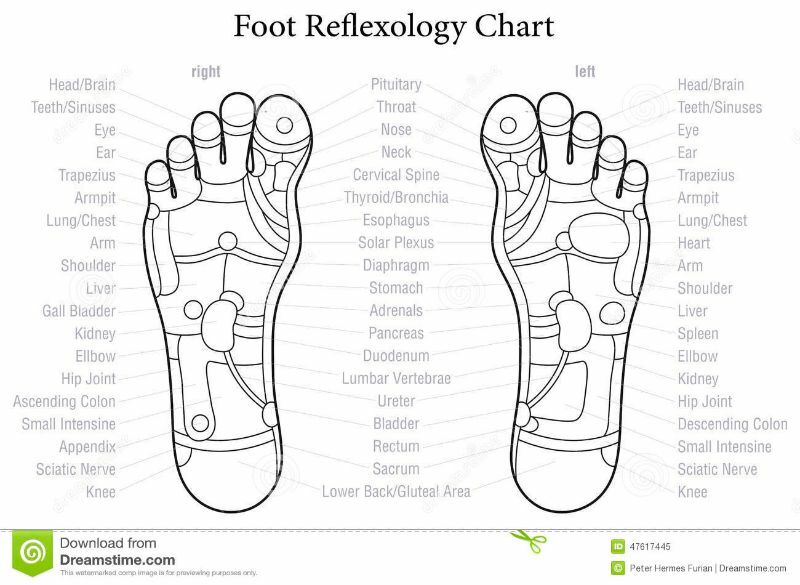 A foot reflexology session involves a foot treatment for about 40 to 45 minutes. Initially, it is followed by a brief session of hand therapy which normally lasts for 15 minutes. Additionally, this treatment does not require any special equipments or artificial devices; instead, this therapy is done with only one tool, the hand and its movements. The therapist then applies force using their forefinger and thumb, forcing it against the heel of the foot. There is also another way to do this therapy; some reflexologists bend their thumbs while some of them use the eraser at the end of the pencil to apply pressure on your feet. Always keep in mind that this form of therapy is just a relaxing treatment and it is not a form of medical treatment. 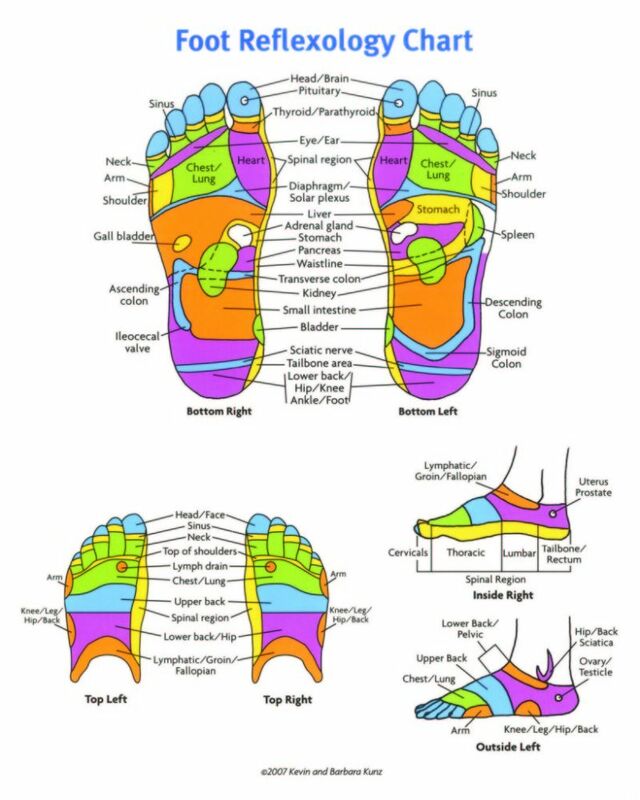 Reflexology is an organized treatment system that is able to address the nervous system with the reflex points in your foot. Though this is not a special kind of medical treatment, it can provide great relief for some time without the use of drugs, entirely discouraging the use of oil and only using hands during the entire process. How Do you Feel During the Foot Reflexology? Now that you know quite a few things about foot reflexology therapy, you may want to experience it for yourself. You can do so by visiting your nearest reflexology spa but for now, we are going to tell how one feels during the massage. According to reviews and other sources, people often find reflexology very soothing. In fact, most people said that they do not wish to drive and go back home; they feel so calm and relaxed that they just want to lie there. Normally, it is not a painful treatment but if you feel any sort of pain, you must inform your therapist and they will sort it out for you. The chances of pain can be because of your comfort zone; you may not be seated properly or the angle of your feet is not in its natural position. Additionally, therapist will always give more time to the parts that you have discussed about in the beginning. The painful parts are given more priority and pressure is given to the reflex points of those parts. What Happens After the Foot Reflexology? So what do you expect to happen after foot reflexology? Just like most of the people which have reviewed it, reflexology makes them feel calm and composed. You will definitely feel refreshed and energized after getting foot reflexology done. That said, there are some people who are sensitive; they get nausea or become tearful, but you need not worry as these are just causal and normal feelings. Instead, therapists consider that these feelings are actually a sign of the healing process. Additionally, you must always consult your doctor if you are sensitive, pregnant or have some other problem so that things do not get complicated. 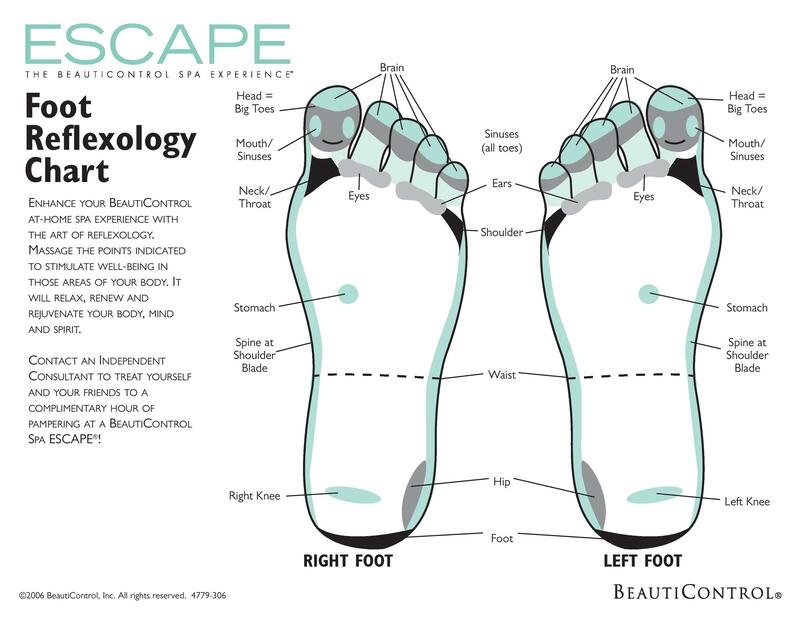 Before we take the plunge towards the 4 types, we want you to know that there is a basic reflexology area on every individual’s foot. 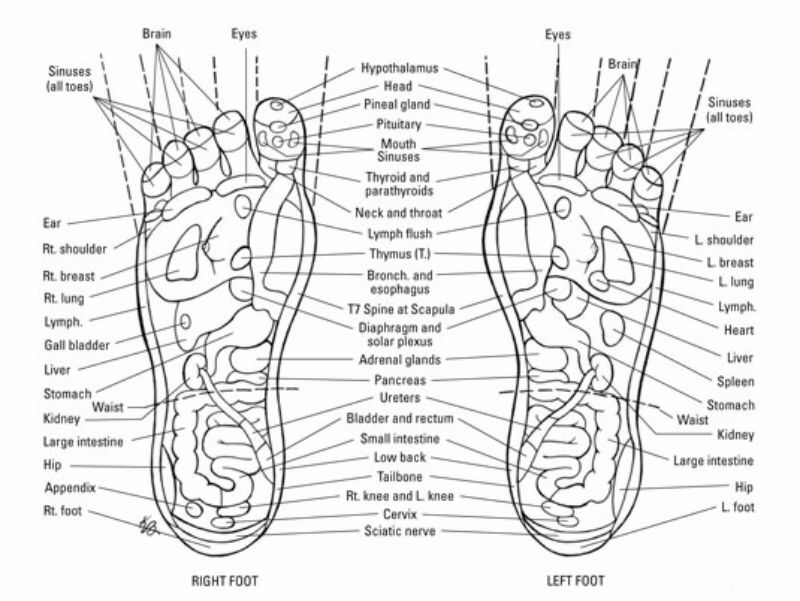 This chart actually describes all the body parts and major organs of the body having reflex points in the foot. 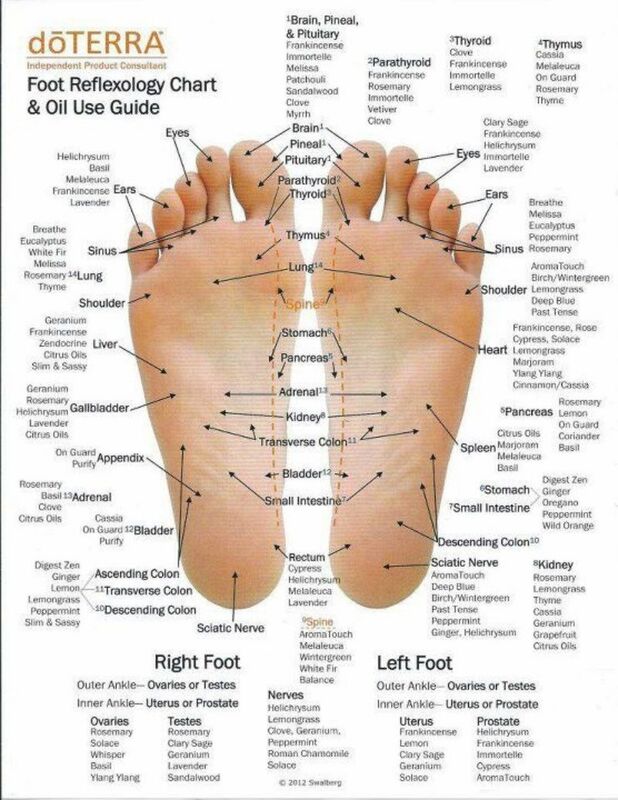 After understanding this chart completely, you will be able to massage by focusing on the specific body part. 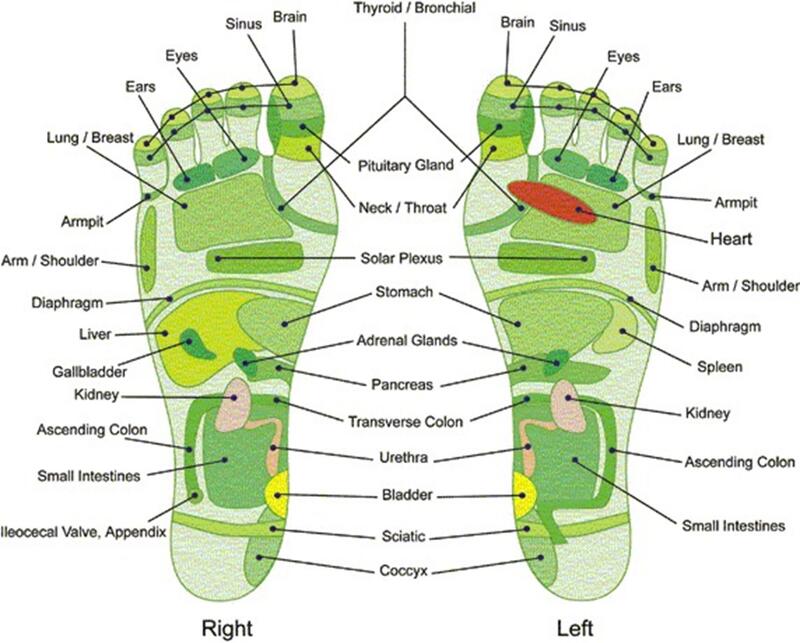 The basic reflexology foot chart includes the whole body. In addition, you must also keep in mind that the right foot is connected to the right side of the body while the left one is linked to the left side. Toes of your foot: neck and head. Inside of feet: spine on your back. Dark area on your toes: chest. Thinnest area of foot is waist and intestine. Bottom of foot: pelvic area. 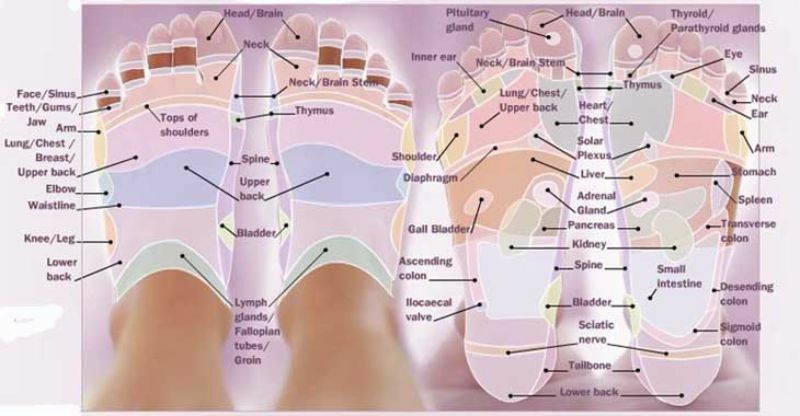 This foot reflexology map displays various parts of the body which are located on the outside part of the foot. This part helps you to get relief from aches or pain in your knee, elbow, chest, shoulder, sciatic nerve or your lymphatic system. 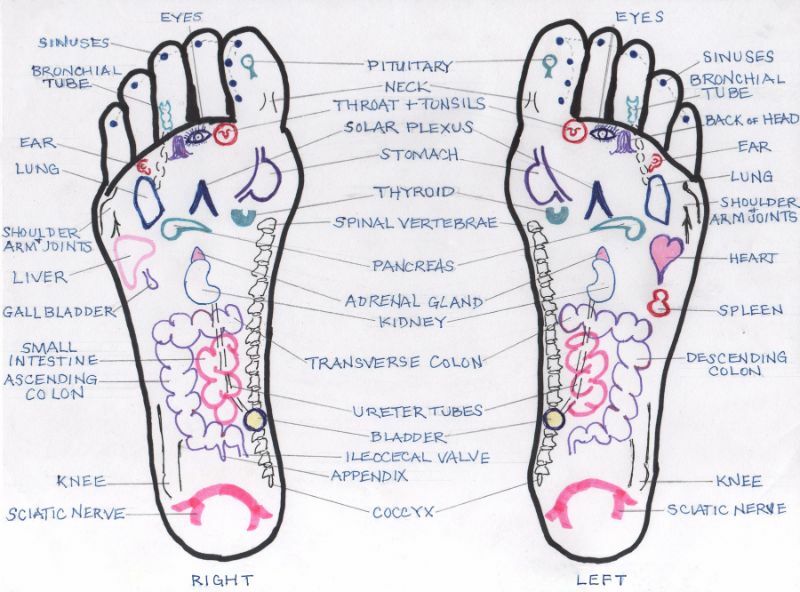 This inside foot reflexology chart covers other important areas in the body. It covers the groin area, sciatic nerve, lymphatic system, spine and bladder. 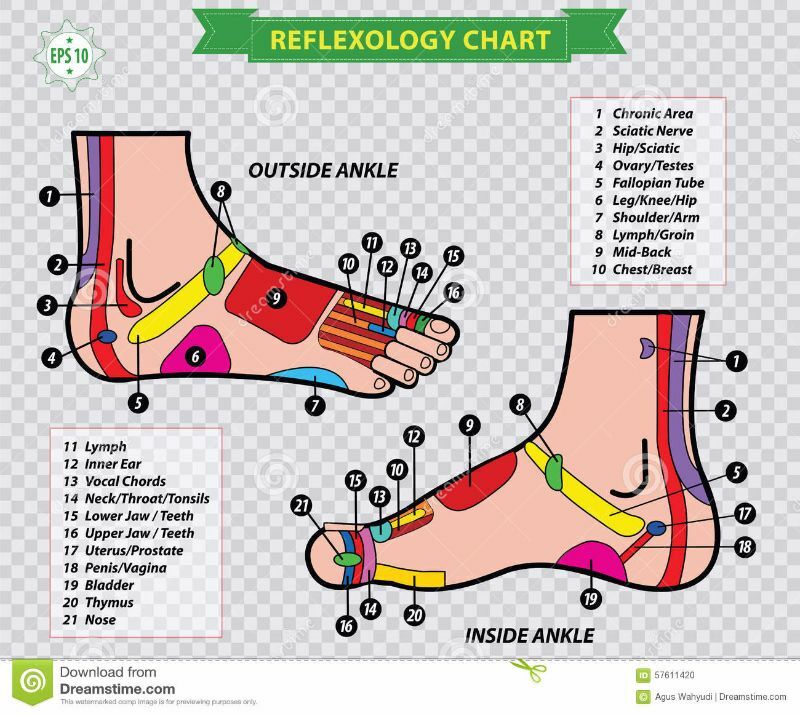 If you know about your inside foot reflexology chart, you can easily treat the parts you know that fall on the inside chart. 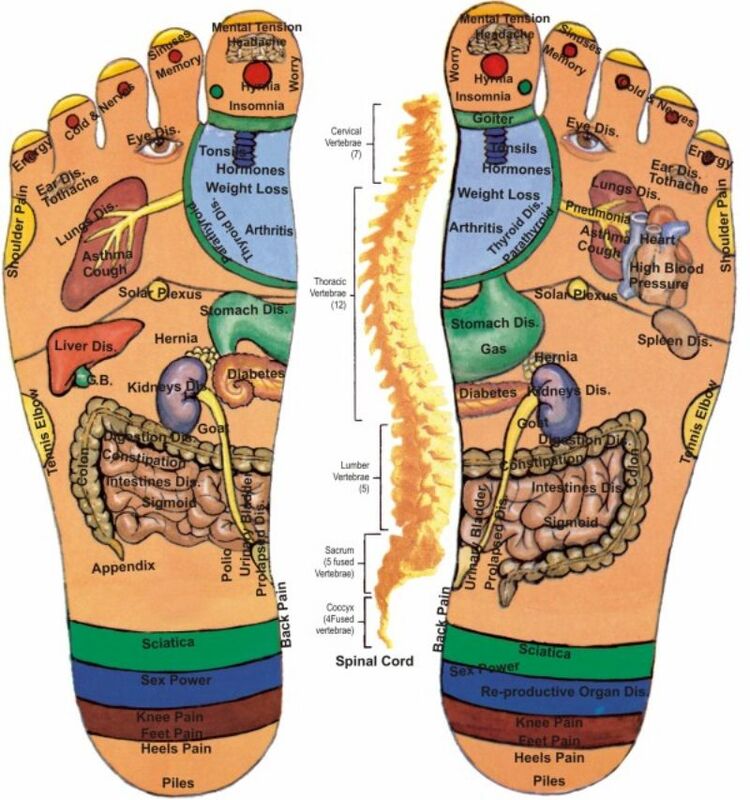 The foot reflexology sole map is comparatively really easy to understand and learn. It mentions the body organs exactly the way they are inside the body. It covers your eyes, ears, lungs, heart, stomach, solar plexus, spleen, teeth, top of the head, pancreas and your entire legs. 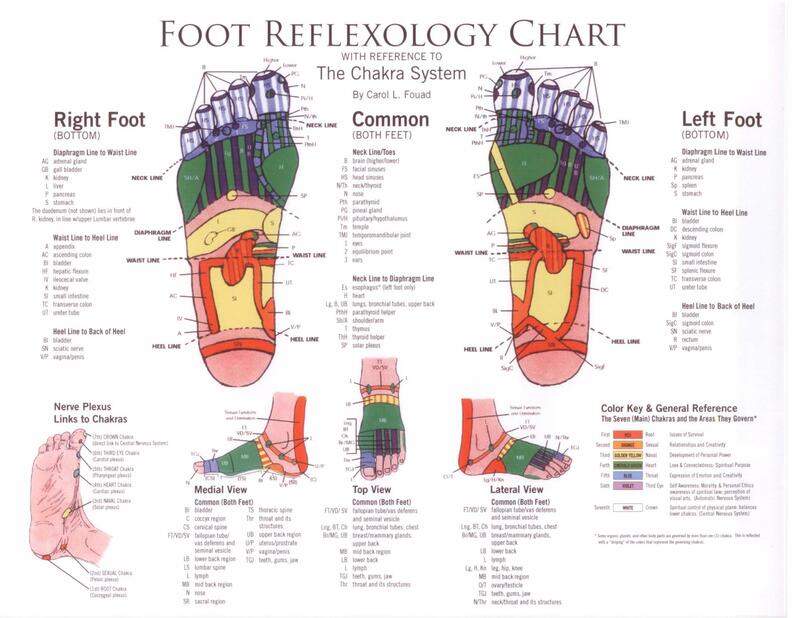 By knowing about the foot reflexology sole chart, you can heal the pain of any specific region. The toe map has meridian points on the toes of your foot. They are located on the biggest toe, the second and the fourth toe as well as the last toe. They normally include the gall bladder, spleen, liver, stomach and bladder. By gently applying pressure on your toes, you will be able to cure your problems yourself. 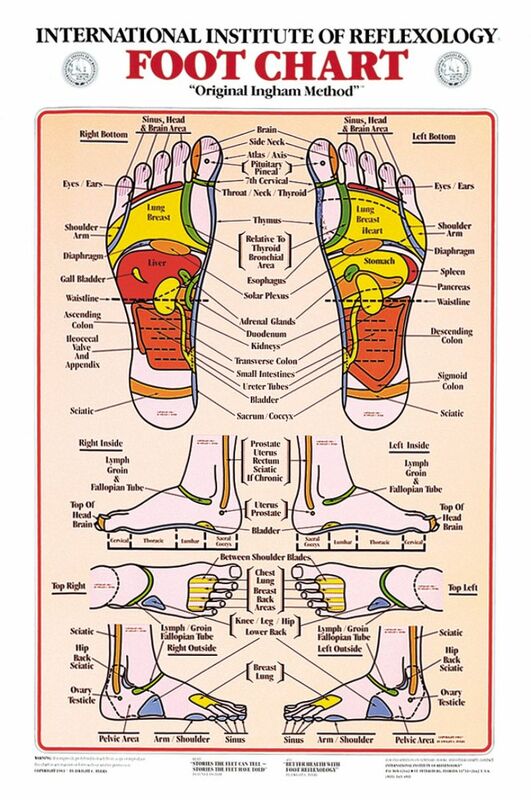 If you are really tensed, then foot reflexology is the recommended option for you. 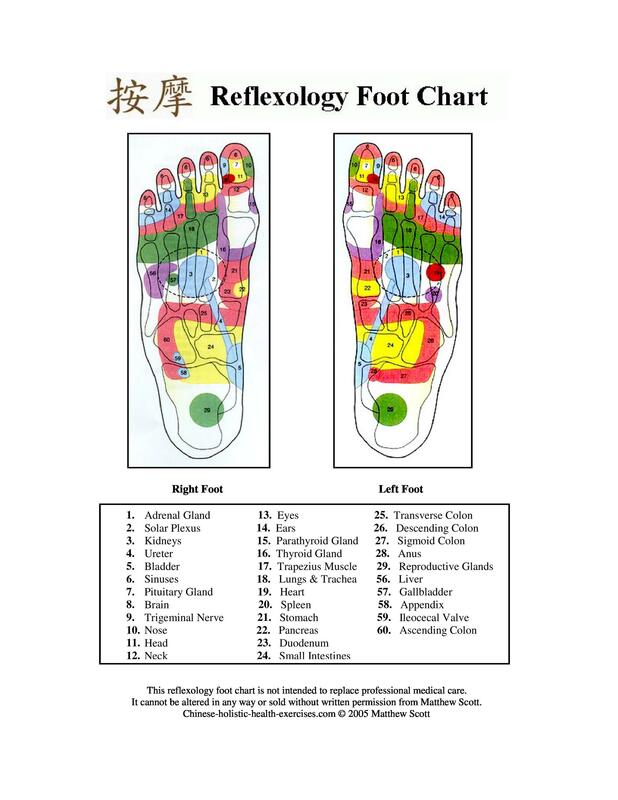 You can find the foot reflexology chart on our website and can get a relief from your painful problems by remaining at home. Enjoy your health to its maximum!